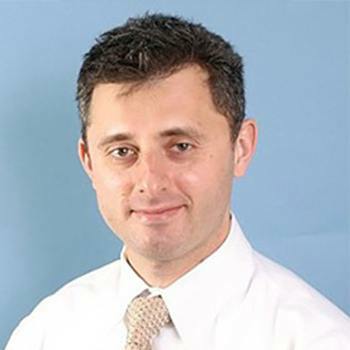 Dr. Katsnelson completed his Doctor of Dental Medicine at Hebrew University in 2004, along with a Master’s in Neurophysiology. After moving to Chicago, he chose to pursue his oral and maxillofacial surgery training at the University of Illinois, eventually completing a surgical residency at Massachusetts General Hospital, which is a Harvard University Teaching Hospital. He served as Chief Resident there. Over the course of his career, Dr. Katsnelson has published several papers in the Journal of Oral and Maxillofacial Surgery, received numerous awards (both on a national and international stage), and presented at various national dental conferences. He has completed extensive training with some of the best surgeons in oral and maxillofacial surgery today, which enables him to continue the tradition of educating patients and providing thorough treatment planning and innovative surgical techniques. All of this means that he’s well-known for offering the highest standards of care possible! Whenever he isn’t busy at work, Dr. Katsnelson spends quality time with his wife Julia, reads, travels, and practices digital photography.